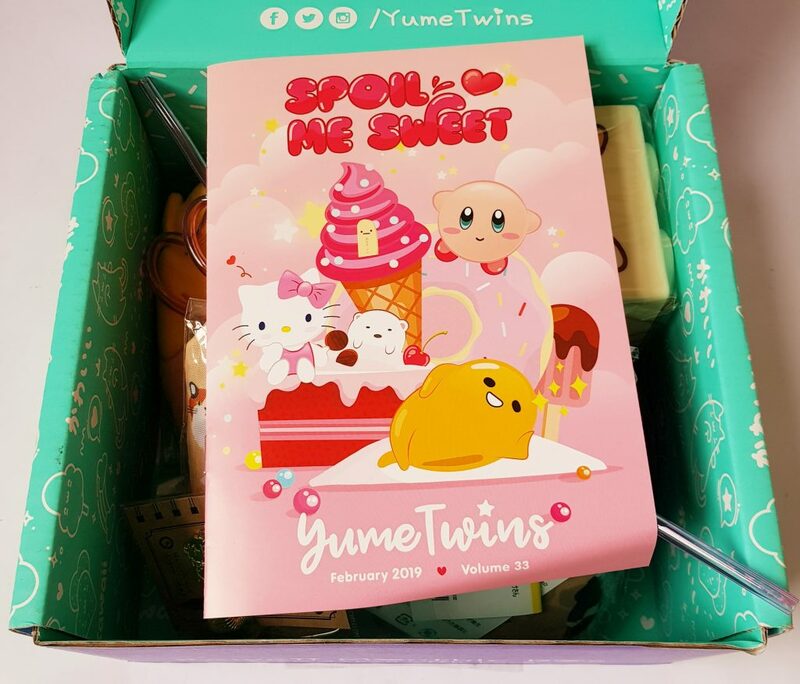 The theme for February is an adorable Spoil Me Sweet, which is also taken from one of the items in the box! 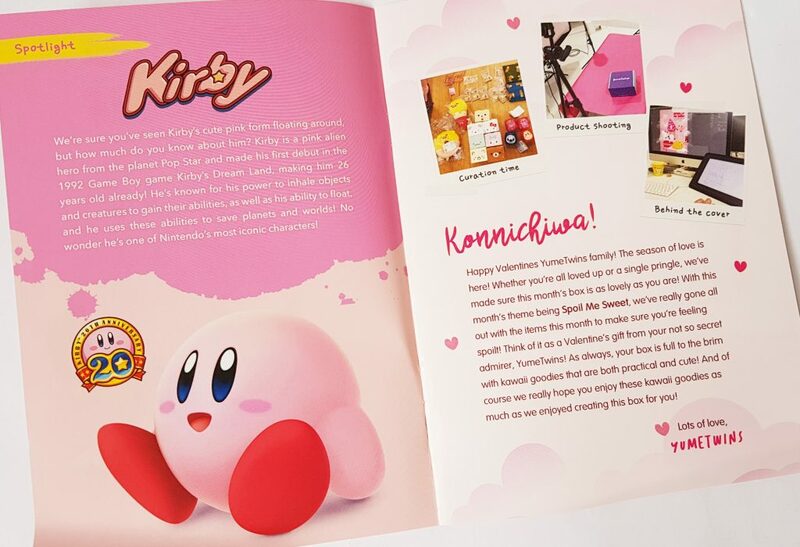 First of all, on top you can see the menu booklet. The featured character is Kirby from the 90s Nintendo Game Kirby’s Dream Land. 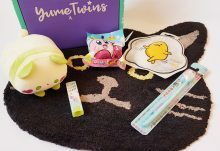 There’s also a little message from the YumeTwins team. You’ve got a list and descriptions of all the items in the box. 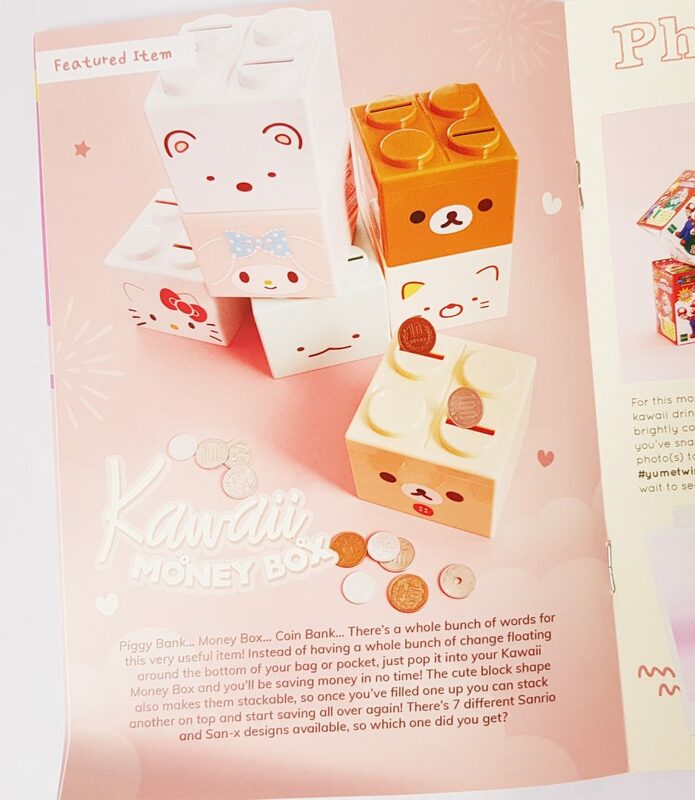 There’s also a closer look at one of the kawaii goodies inside. I’ve been waiting a long time for a big Gudetama item, and it’s finally happened! This is a gorgeous Gudetama Sweets Plushie. It’s actually one of two possible designs, this one a donut and the other an ice cream cone. I’m a huge fan of Gudetama, and this is very cute indeed. 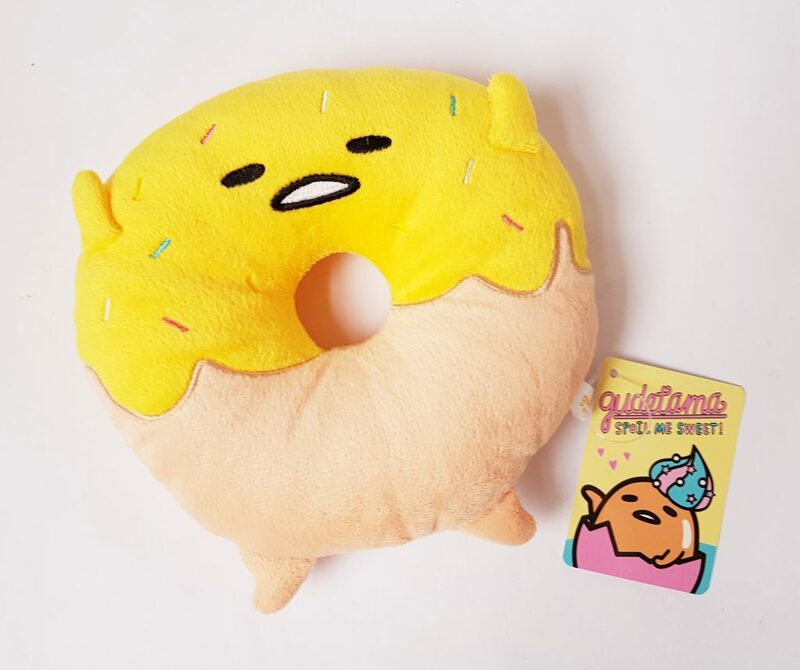 I think if I had the choice I’d probably choose one that was slightly less themed, but it’s so adorable and I love anything Gudetama-related so I’m happy! 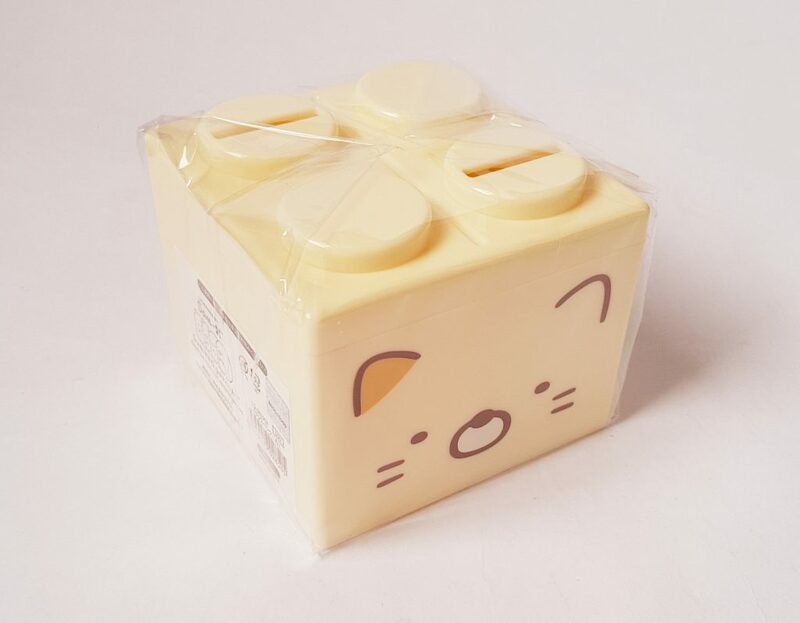 This looks like a big Lego brick, but it’s actuall a Kawaii Money Box. It can stack with others, and it has two separate compartments inside with separate slots if you want to divide up your savings! 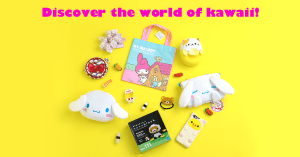 There are seven possible designs, from Hello Kitty, Rilakkuma, Korilakkuma, and Sumikko Gurashi. This one is Neko, one of the Sumikko Gurashi gang. 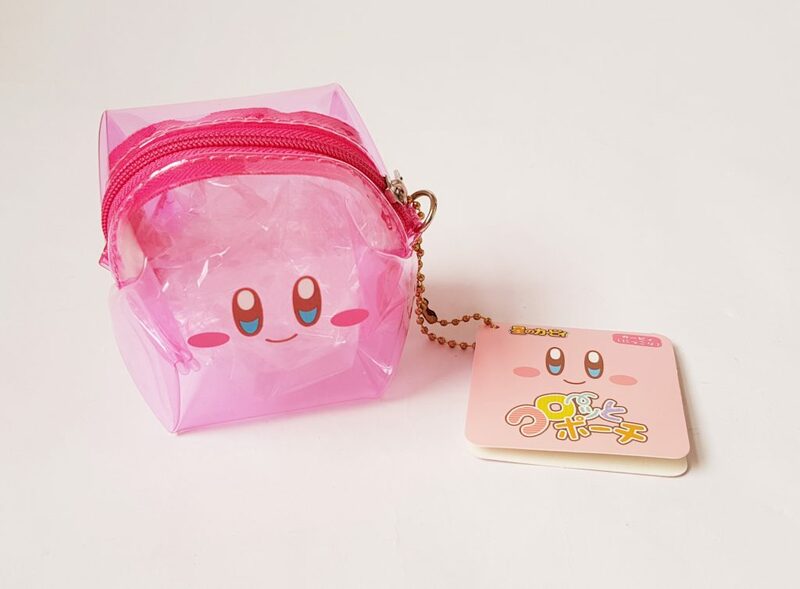 Here’s the Kirby item, a Kiby Mini Pouch. It’s a square clear zipped purse, one of four designs, this one being Kirby himself. 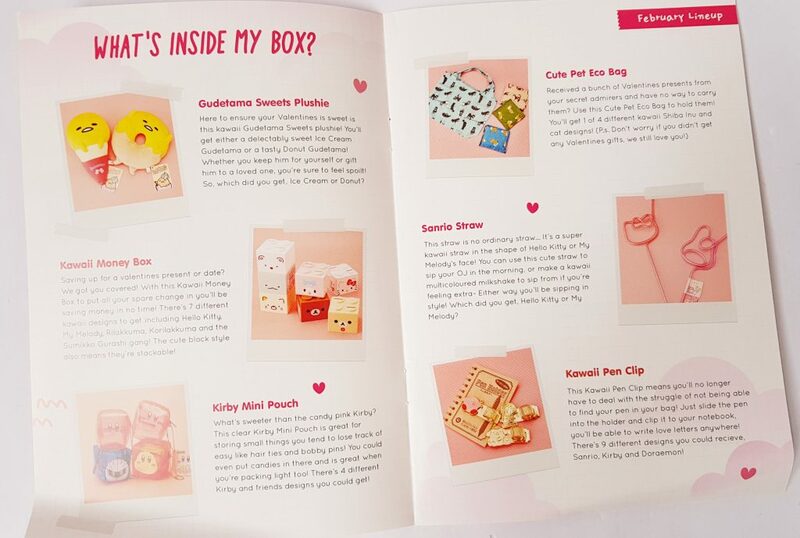 I really like the fact that you can see what’s inside as it would be very useful for storing and keeping trackof little things like hairclips. 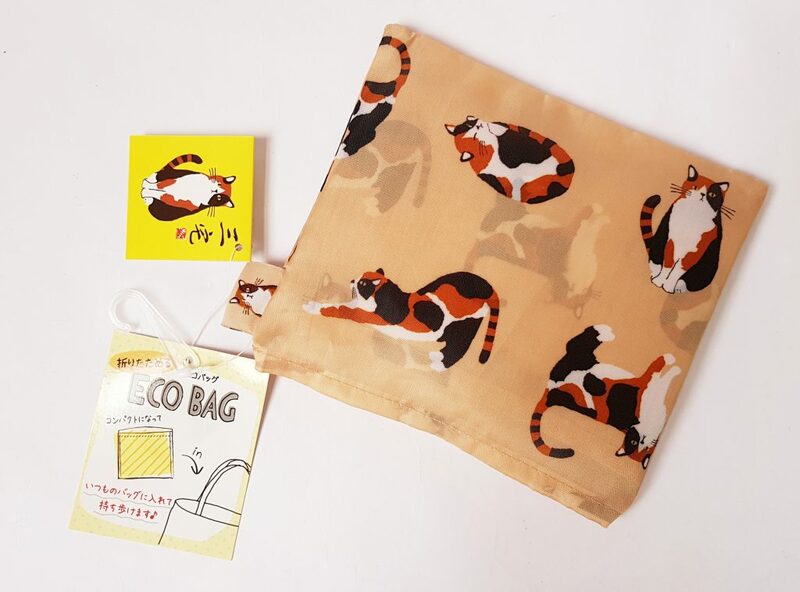 Everyone is working hard to stop using so much plastic, so this Cute Pet Eco Bag is perfect to keep in your handbag when you go shopping. There are four designs, Shiba Inu (a Japanese breed) and cats. 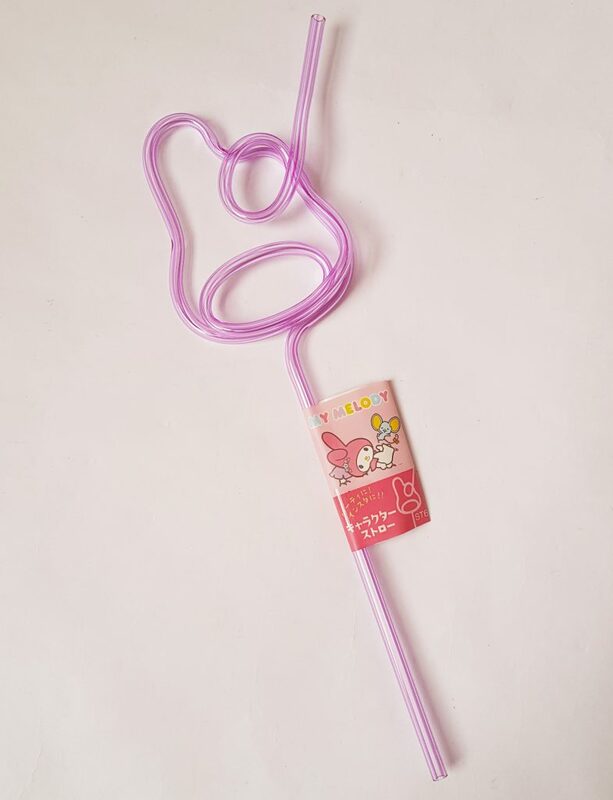 You can make any drink kawaii with this Sanrio Straw! In one of two designs, Hello Kitty or My Melody (which is the one I have) this is seriously retro and cute. I remember these types of shaped straws being very popular when I was a kid, and it’s a lot of fun to see them again now! Finally, a Kawaii Pen Clip. 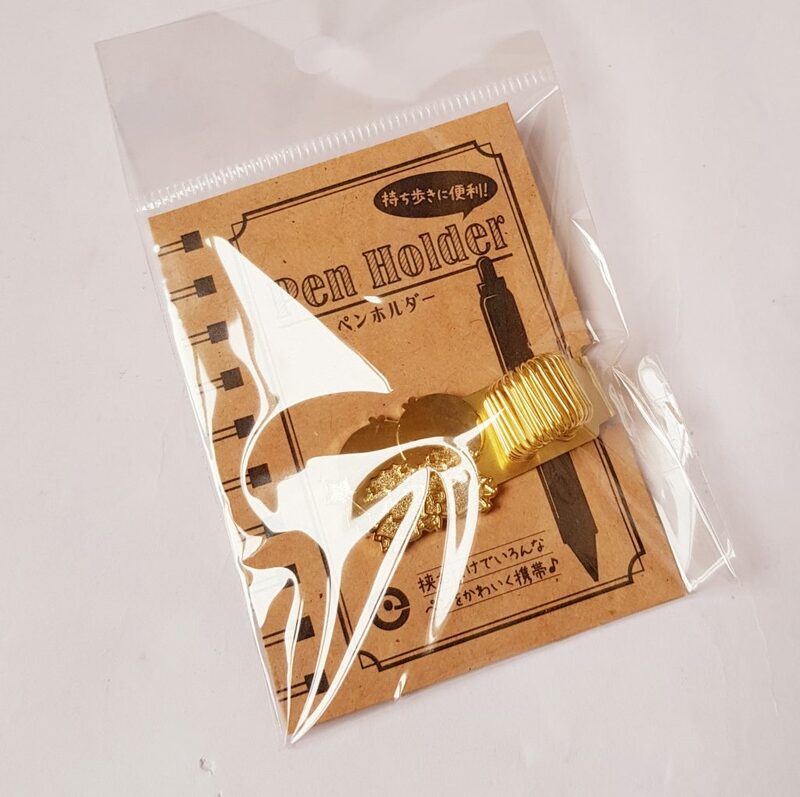 It’s made of brass metal, and has a little clip you can slide onto a notebook to keep your pen handy. This one is Sanrio Little Twin Stars, but there are also other eight other designs including Kirby and Doraemon. 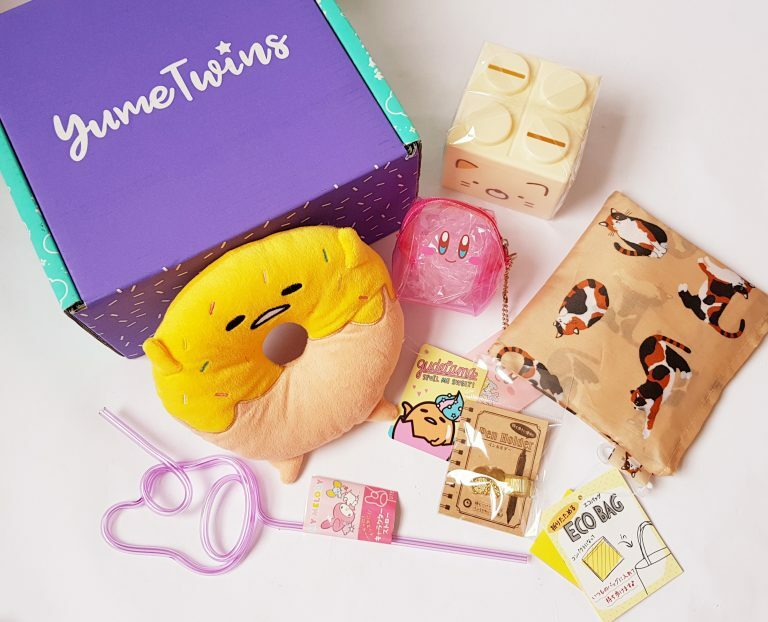 Anything with Gudetama is going to please me, so I’m thrilled with this box! 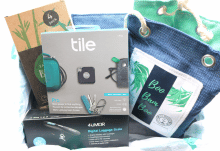 Apart from the lovely plush, the shopping bag is especially useful as you can never have too many reuseable bags, and the pen clip will be very useful for my diary. I’ve also got all kinds of bits and pieces that can go in the little purse, so I can see that’s going to come in handy. 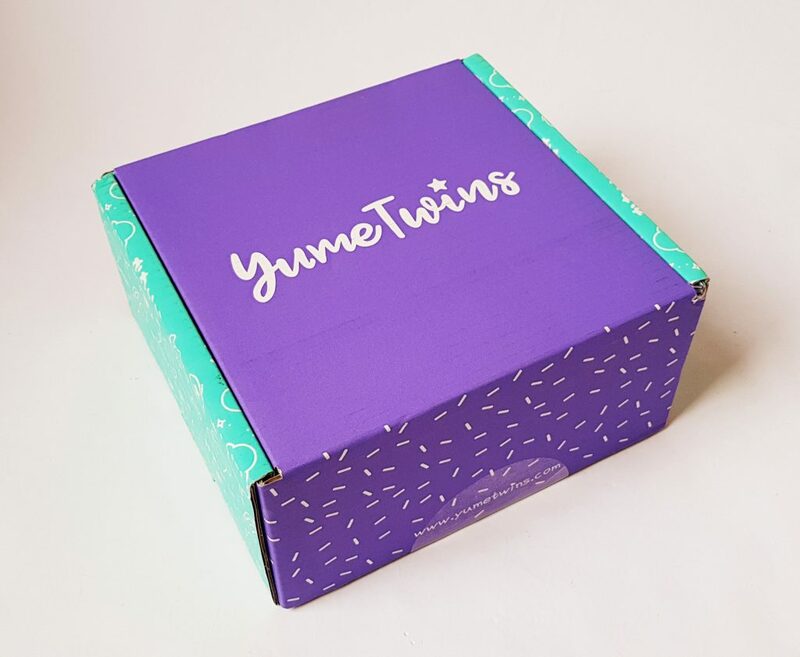 YumeTwins send everything straight from Japan, so they are generally difficult of not impossible to source in the UK. 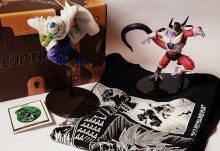 Especially allowing for import prices, which are high for premium Japanese goods, the value is great. I really like the combination of cute and practical, and apart from the plush, which is simply everything cute, everything is functional and useful. 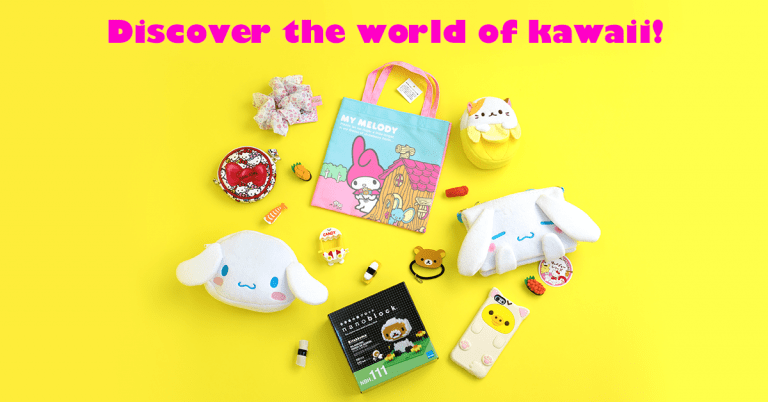 This is a lovely way to add some kawaii to your life!